Basically, he believes that asset classes and markets will revert to mean historical levels from highs and lows. GMO analyzes historical changes in markets and predict results for seven years into the future on a monthly basis. When there is deviation from historical averages the firm may take an investment position based on a return to the mean . Grantham has built much of his investing reputation by correctly identifying speculative market bubbles and steering clients’ assets clear of them. Grantham avoided investing in Japanese equities and real estate in the late eighties, as well as technology stocks during the dotcom bubble in the late nineties. These technology stocks were heavily in favor in the nineties, and Grantham must have witnessed skepticism from new investors. He could have thrown the towel in the ring. He didn’t. The first decade of the 21st century must have been a period of vindication for him, rising to a Guru status. Jeremy Grantham is now one of the leading commentators in analyzing the causes for the financial and economic crisis, criticizing the role of central bankers and policy makers. Maybe Jeremy Grantham’s approach seems rigorous. Would not a better approach be to pragmatically switch between convictions when they are in and out of fashion? It surely would have made Jeremy’s life easier during the nineties. However, pragmatically switching between convictions is exactly what central bankers did to please investment banks and politicians, and got us in the biggest financial crisis since the Second World War, argues George Cooper in “The Origin of Financial Crises” . This insightful and very readable book should be on the curriculum of every CFA student. He raises two main objections: the models that have been the bread and butter of economic and monetary policy are simply wrong. He singles out the efficient market hypothesis. It’s the financial market’s variant of “laissez faire, laissez passer”: free from any (state) intervention, markets are able to “clear”, determining a price for a good that suits both producers and consumers. While this might make sense in a rural market, Cooper shows that this is certainly not the case for financial markets. Banks enter the equation, and change the dynamics in clearing the markets due to their ability to extend loans with little equity of its own – leverage. The base case is an isolated village where two bakers adjust their prices and “clear” the market for bread when a stranger comes into town and buys more bread than expected. At the end of the day, there is a new equilibrium price. And that’s it. The market for financial securities however works differently. Suppose the stranger wants to buy one share from a company who issues 1000 shares. The seller detects extra demand and raises the price of the share. Due to marked-to-market accounting, the other 999 shares are revalued as well. At the end of the day, the bank manager happily calculates that the company in question has increased in value, and signals to the company’s manager that he can borrow more than expected. And of course, the manager is ambitious and embarks on an investment program. Credit creation in its most rudimentary form, and a positive spiral is created. One share, with a little help from banks, goes a long way. So where do central banks step in? Central banks regulate credit creation. If the spiral is positive, then it is interpreted as a signal that laissez faire works well. Prices and credit creation give the right signals. Politicians and investment banks deplore central bankers from intervening in any way. But unfortunately, good things seldom last forever. Suppose the stranger wants to switch from securities to bread (no deeper philosophy is required). The virtuous spiral reverses because the share price declines, and with it the bank starts fretting about decreased collateral, demanding more collateral, leading to forced sales and lower economic growth. Suddenly, investment bankers and politicians are all shook up and demand that the central bank switches from refraining (laissez faire) to intervening, Keynesianism. On second thought, the price might not signal the right information, and it would be better to regulate the economy. To dampen the economic movements, interest rates are lowered, providing ample credit, and increasing the debt mountain. With a flip of the coin, central banks have become stabilizers of financial markets. As a side thought, investors are not alone in this. Ulrich Beck describes in his influential book “Risk Society” that a paradox emerges . Our shorthand interpretation: as a society, we have become better at combating diseases, containing natural disasters or overcoming technological hurdles. The paradox is that at the same time, we have become increasingly preoccupied with risk, and increasingly averse to the risk that remains, demanding government to step in and regulate that risk. Policy makers manage the fluctuations in economies and financial markets in a similar manner. 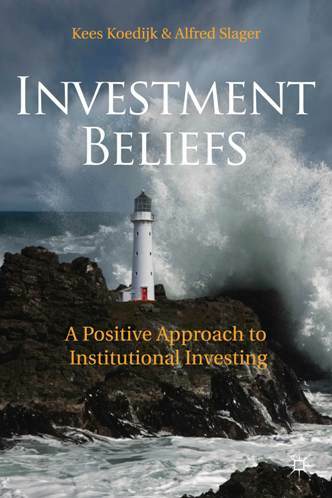 Over time, investors have become better at earning returns, while becoming disproportionally averse to risk. In the end, managing downside risk is outsourced to the central bank (and thereby future tax payers). George Cooper finds this switching between regimes the ultimate problem. They are based on false premises anyway, and central bankers in having tried to micro-manage economic fluctuations in the past two decades have done nothing but prepare the stage for the 2007-2010 whirlwind. His recipe is simple central bankers should stop switching regimes at will, and build their policy on sound economic fundamentals (i.e. not an efficient market approach). At the heart of this policy lies the switch from political micromanagement to macro management, allowing credit cycles to burst every now and then, so market participants remain humble and keen on risk. More importantly, it should help deflate a major financial crisis. So the question “how long, and how consistent should you hold on to your convictions?” definitely plays out in favor of Jeremy Grantham’s approach. It cannot be long enough, and certainly not consistently enough. A conviction cannot cater all tastes, and is per definition unpopular at times. If this is the New Year’s resolution of central bankers, then 2011 will turn out to be a fine year. Ulrich Beck. 1992. Risk Society: Towards a New Modernity. Published by Sage. This entry was posted in Blog and tagged Central Banks, George Cooper, GMO, Investment Philosophy, Jeremy Grantham, Ulrich Beck. Bookmark the permalink.